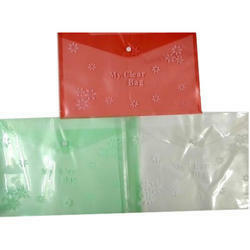 Prominent & Leading Manufacturer from Delhi, we offer my clear bag double pocket, my clear bag-1 and plain my clear bag. 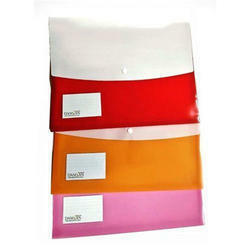 Comprehending the varied desires of our clients, we are instrumental in presenting a comprehensive range of My Clear Bag. My Clear Bag Double Pocket with Expandable. Supported ourselves with proficient amenities, we are readily instrumental in providing an inclusive variety of Veer Button File Folder. Keeping our synchronization with the development taking place in this industry, we are engrossed in delivering a broad range of My Clear Bag.